Invited speaker for "Industry 4.0:IoT, Cloud, Big Data", organized by Bangkok Glass Public Company Limited, Thanyaburi, Pathumthani 12130, 18 January 2019. Invited speaker for "Data Science:Analytics for Big Data", organized by Anti-Money Laundering Office, Bangkok 10330, 11 January 2019. Invited speaker for "How to write papers and get published", organized by AMCS, Department of Mathematics and Computer Science, Faculty of Science, Chulalongkorn University, 7 January 2019. Organized "Data Science Essential Workshop", sponsored by Chevron Thailand, Bangkok 10120, on 13, 14, 20, 21, 27 November 2018. Invited speaker for "Data Science using R programming language", organized by Faculty of Science, King Mongkut's university of technology North Bangkok, 10 October 2018. Invited speaker for "Data Science Special Seminar", organized by Faculty of Science, Khonkaen University, 6-7 August 2018. Invited speaker for "R Analytics and applied to data science workshop", organized by Faculty of Science, Kasetsart University Sriracha Campus, 25-26 July 2018. Special speaker for "Customer Analytics:SPSS Modeler", organized by IBM, 13 June 2018. Special speaker for "Big Data Workshop for Thailandpost", organized by Thailandpost, 28-29 April 2018. An invited speaker for "Datamining workshop", organized by Thai Customs, 1 Suntorn Kosa Road, Klong Toey, Bangkok 10110, 9 March 2018. Project partner with Kasetsart University for "Mathematical model of open channel network flows under rainfall effects in Bangkok", from August 2017 to September 2018. An invited speaker for "Applied SPSS Modeler workshop", organized by Kiatnakin Bank Public Company Limited, 209 KKP Tower, Sukhumvit 31 (Asoke), Khlong Toey Nua, Wattana, Bangkok 10110, 18 December 2017. A special speaker for "Technological Maturity of 'R' Analytic Software toward CRM", organized by Asia Dyna Forum Co.,Ltd. (ADF) 973 President Tower, 12th Floor, Unit 12G, Ploenchit Road, Lumpini, Pathumwan, Bangkok 10330, 21 November 2017. An invited speaker for IBM SPSS Modeler Event, organized by IBM & Infolyst, 14 November 2017. An invited speaker for "Open Source Cloud System", organized by Department of Mathematics and Statistics, Faculty of Science and Technology, Thammasart University,99 Mo 18, Phaholyothin Rd., Klong 1 District, Klong Luang, Patum Thani 12121, 5 May 2017. A special speaker for "Strategy in building semi-automated customer retention program using data mining tools", organized by Asia Dyna Forum Co.,Ltd. (ADF) 973 President Tower, 12th Floor, Unit 12G, Ploenchit Road, Lumpini, Pathumwan, Bangkok 10330, 17 February 2017. Consulting for Seagate Technology (THAILAND) Co., Ltd. at 1627 Moo 7, Theparak Rd., Theparak, Samutprakan 10270 from Jan. - June 2017. Faculty of Science, Chulalongkorn University. Invited Speaker in the International Conference on Applied Statistics 2016 (ICAS 2016), 13-15 July 2016, Phuket Graceland Resort & Spa, Phuket, Thailand. Project owner for "Data Science Workshop for Mitr Phol Sugar", organized by Mitr Phol Group, 2 Sukhumvit Rd., Khwaeng Khlong Toei, Khet Khlong Toei, Bangkok 10110 from May - June 2016. An invited speaker for WUCSSS2016, "Reviving the simplex algorithm", organized by Walailak University, Interdisciplinary Center for Scientific Computing, 111 Thailand Science Park, Paholyothin Road, Klong 1, Klong Luang, Pathumthani 12120, Thailand, 4-8 April 2016. A special speaker for "Class imbalance training for SAS", organized by Siam Commerical Bank (SCB) at the SIAM COMMERICAL BANK PCL., (HEAD OFFICE), 9 Ratchadaphisek Road, SCB Park, Chatuchak, Bangkok 10900, Thailand, 1 and 4 March 2016. A special speaker for "SAS Enterprise Guide", Toyota leasing, 990 Abdul Rahim floors 18-19, Rama 4 Road, Silom, Bangkok 10500, 6 February 2016. Speaker of "Big Data Initiative Project", organized by Bank of Ayudhya Public Company Limited, 1222 Rama III Road, Bang Phongphang, Yan Nawa, Bangkok, 18, 20, 27 November 2015. Speaker of "Advanced Statistics via R", organized by Chevron Thailand Exploration and Production, Ltd., Tower III, SCB Park Plaza, 19 Ratchadpisek Road, Chatuchak, Bangkok 10900 on 20, 23, 24, 27, 29 July 2015. Join conference, eLFA 2015, organized by SIM university, 461 Clementi Road, Singapore 599491 on 17-19 June 2015. Faculty of Engineering, Chulalongkorn University [Co advised with Asst. Prof. Seeronk Prichanont. Invited speaker, "Simplex improvement without artificial variables" in International Symposium on Computational Science, Kanazawa University 16 - 18 February 2015. Trainer for "Forecasting and Knowledge Discovery", organized by Bangkok Produce Co., 18th floor C.P. tower, 313 Silom road, Bangkok 10500, Thailand on 21-22 January and 4, 11 February 2015. Consulting for Bangkok Glass Industry Co., Ltd., 47/1 Moo 2 Rangsit-Nakornnayok Rd., Km.7 Buengyeetho, Thanyaburi, Pathumthani 12130 from January - July 2015. Consulting for Seagate Technology (THAILAND) Co., Ltd. at 1627 Moo 7, Theparak Rd., Theparak, Samutprakan 10270 from Dec, 2014 - July 2015. Instructor for "SAS Programming, SAS EM, SQL", supported by TOPS market, 99/99 GL - P/02, Moo. 2, Bang Talad, Pakkred, Nonthaburi 11120 on 27 - 28 November 2014. A special speaker for "Data Visualization", organized by Asia Dyna Forum Co.,Ltd. (ADF) 973 President Tower, 12th Floor, Unit 12G, Ploenchit Road, Lumpini, Pathumwan, Bangkok 10330, 8 August 2014. An organized ITcommittee of the "Annual Mathematics Conference", organized by Department of Mathematics, Faculty of Science, Chulalongkorn University, Bangkok 10330, Thailand, 1-2 May 2014. The project manager/instructor for "GUI Program development using Python language", supported by Bangkok Glass Industry Co., Ltd., 47/1 Moo 2 Rangsit-Nakornnayok Rd., Km.7 Buengyeetho, Thanyaburi, Pathumthani 12130. An instructor for Computer Olympics "Combinatorial", organized by the Institute for the Promotion of Teaching Science and Technology, 924 Sukhumvit Road, Khlong Toey, Bangkok 10110, 15 October 2013. A special speaker for "Credit Scoring Model Development", Toyota leasing , 990 Abdul Rahim floors 18-19, Rama 4 Road, Silom, Bangkok 10500, 14 & 21 June 2013 & 12 July 2013. A special speaker for "Strategic for DATA MINING in direct marketing", organized by Asia Dyna Forum Co.,Ltd. (ADF) 973 President Tower, 12th Floor, Unit 12G, Ploenchit Road, Lumpini, Pathumwan, Bangkok 10330, 19 July 2013. An instructor for "Credit Scoring Model Development Workshop Training", organized by GH Bank, 63 Rama IX Road, Huay Khwang, Bangkok 10310, 18 March - 3 April 2013. An instructor for Computer Olympics "GAMES", organized by the Institute for the Promotion of Teaching Science and Technology, 924 Sukhumvit Road, Khlong Toey, Bangkok 10110, 15 March 2013. An instructor for "Business Intelligence", organized by Srinakharinwirot University, 114 Sukhumvit 23, Bangkok 10110, 18 December 2012. A chair person for "The 8th Mathematics and Physical Science Graduate Congress", organized by faculty of Science, Chulalongkorn University, Bangkok 10330, 8 - 9 December 2012. An instructor for "Rapidminer", organized by Electricity Generating Authority of Thailand, 53 Moo 2 Equipment, Charansanitwong Road, Bangkruai, Nonthaburi 11130, 19 & 26 October 2012. An instructor for Computer Olympics "Sets, Relations and Introduction to Combinatorics", organized by the Institute for the Promotion of Teaching Science and Technology, 924 Sukhumvit Road, Khlong Toey, Bangkok 10110, 16 October 2012. An instructor for "Kettle & Weka", organized by Electricity Generating Authority of Thailand, 53 Moo 2 Equipment, Charansanitwong Road, Bangkruai, Nonthaburi 11130, 10 & 17 August 2012. Faculty of Science, Chulalongkorn University, P-24 in the Abstracts of the Science annual meeting 2012. An instructor for Computer Olympics "Games", organized by the Institute for the Promotion of Teaching Science and Technology, 924 Sukhumvit Road, Khlong Toey, Bangkok 10110, 24 March 2012. An instructor for Computer Olympics "Graph algorithm II:Maximum Flow", organized by the Institute for the Promotion of Teaching Science and Technology, 924 Sukhumvit Road, Khlong Toey, Bangkok 10110, 19 March 2012. An instructor for Computer Olympics "Graph algorithm I:Minimum spanning tree and minimum spanning arborescence", organized by the Institute for the Promotion of Teaching Science and Technology, 924 Sukhumvit Road, Khlong Toey, Bangkok 10110, 18 March 2012. An instructor for Workshop "Times Series Forecasting Analysis", organized by Siam Commercial Bank, Jatujak, Bangkok 10900, 8, 15, 17, 22 Feb. 2012. An instructor for Workshop "Data Mining Concept for propensity to buy model", organized by Bank of Ayudhya Public Company, Yan Nawa, Bangkok 10120, 27 Jan. and 9 Feb. 2012. An invited speaker for the National Operations Research Conference 2011 (OR-NET 2011) "Opensouce in OR", Bangkok, Thailand, 8-9 September 2011. 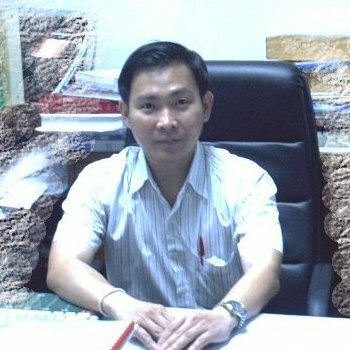 An invited speaker for Infolyst "Data warehouse and Data mining", Bangkok, Thailand, 18-19 June & 2 July 2011. An advisor for the (Thailand) Winner of the Microsoft Imagine Cup 2011 by NewKrean. An organized ITcommittee of the "Annual Mathematics Conference", organized by Department of Mathematics, Faculty of Science, Chulalongkorn University, Bangkok 10330, Thailand, 19-20 May 2011. An instructor for Chulachonnabot "Mathematics in Game theory", organized by the Department of Mathematics, Faculty of Science, 29 March 2011. An instructor for Computer Olympics "Graph algorithm III:Minimum spanning tree and minimum spanning arborescence", organized by the Institute for the Promotion of Teaching Science and Technology, 924 Sukhumvit Road, Khlong Toey, Bangkok 10110, 14 March 2011. A speaker of "Open souce optimization software", organized by Mathematics and Statistics departmet, Faculty of Arts & Sciences, DPU International College, Bangkok 10210, 19 January 2011. A speaker of "Safe-Level-SMOTE:Safe-Level-Synthetic Minority Over-sampling TEchnique for handling the class imbalanced problem", organized by Statistics department, Business School, Chulalongkorn University, Bangkok 10330, 26 November 2010. A speaker of two talks, "Mathematical programming seminar" and "Knowledge discovery seminar", organized by Department of Mathematics, Faculty of Science, Silpakorn University, Nakhon Pathom 73000, Thailand, 9 November 2010. A speaker of "Game theory:Combinatorial game", organized by Department of Mathematics, Faculty of Science, Chulalongkorn University, Bangkok 10330, Thailand, 24 May 2010. An instructor for Computer Olympics, organized by the Institute for the Promotion of Teaching Science and Technology, 924 Sukhumvit Road, Khlong Toey, Bangkok 10110, 12 & 27 October 2010. The invited speaker for the topic "Semi-automated customer retention using data mining tools" in the Customer Retention Conference 2010, organized by Asia Business Forum (Thailand) on 28-29 September 2010 at The Sukhothai Hotel, Bangkok, 13/3 South Sathorn Road, Bangkok 10120, Thailand. An instructor for Computer Olympics, organized by the Institute for the Promotion of Teaching Science and Technology, 924 Sukhumvit Road, Khlong Toey, Bangkok 10110, 21 & 23 March 2010. A trainer for Sales and Operation Planning System for SCCC, organized by Siam City Cement Public Company and ORC, Bangkok 10330, Thailand, 5 & 18 March 2010. An instructor for "SAS Enterprise Guide, the Beginner", organized by National Statistical Office Of Thailand, Bangkok 10330, Thailand, 21 & 22 Oct 2009. An instructor for "SAS Enterprise Guide", organized by National Statistical Office Of Thailand, Bangkok 10330, Thailand, 11 & 19 June 2009. An organized ITcommittee of the "Annual Mathematics Conference", organized by Department of Mathematics, Faculty of Science, Chulalongkorn University, Bangkok 10330, Thailand, 25-26 May 2009. An organizer for a booth:"Game theory" in Chulavichakarn 2008, 26-30 November 2008. An organized committee of the "ICART2008: International Conference on Algebra and Related Topics" which held on 28-30 May 2008. "Applied JMP software", organized by THAI AIRWAYS INTERNATIONAL, 89 Vibhavadi rangsit road, Chattuchak, Bangkok 10900, Thailand, March - April 2008. The invited speaker for the topic "Data Mining Technique" in the workshop for Database and Direct Marketing conference, organized by Asia Business Forum (Thailand) on 11-12 March 2008 at Nai Lert Park Bangkok, 2 Wireless Road, Patumwan, Bangkok 10330, Thailand. An organized ITcommittee of the "Annual Mathematics Conference", organized by Department of Mathematics, Faculty of Science, Chulalongkorn University, Bangkok 10330, Thailand, 27-28 March 2008. "The Development of Data Mining Models for identifying severe accident factors", funded by the Department of Highway, Thailand, October 2007 - September 2008. "Forecasting Workshop: Practical Time Series Forecasting Analysis", organized by BoonRawd Trading Company and Infolyst on 13, 18, 21 September 2007 at BOONRAWD TRADING CO., LTD., 1003 Samsen Road, Dusit, Bangkok 10300, Thailand. "Data Mining Workshop for Analytical Marketing and Customer Strategic Planning", organized by Siam Commerical Bank (SCB) and Infolyst for the month of August 2007 at the SIAM COMMERICAL BANK PCL., (HEAD OFFICE), 9 Ratchadaphisek Road, SCB Park, Chatuchak, Bangkok 10900, Thailand. Lecturer of the "Java programming" for the new computational student workshop on 14-24 May 2007. Advisor of Pongsun Anurat (Science scholarship) for the miniproject "Solving alphametic using the mathematical programming model" from 1 April - 31 May 2007, presented on Satursday 4 August 2007. The co-advisor of Chumpon Jitdon (Master student) defense for "A Successive Different Quicksort", Thammasart University on 7 April 2007 from 9:00 - 12:00 pm. Invited speaker for "Forecasting Credibility: Statistical Approach vs. Judgemental Approach", organized by SAS on 3 April 2007 at the Sheraton Grande Sukhumvit, bangkok 10330, Thailand. Invited speaker for "E-courseware", NECTEC, on 19 March 2007. Invited speaker for the topic "WEKA software in Data mining", Statistic course at Srinakharinwirot University, 13:30 - 16:30 pm. on Tuesday 13 February 2007. Instructor for Advanced Predictive Modeling Using SAS Enterprise Miner (PMADV), 19 and 21 December 2006. A chair session of the "OR-NET conference 2006" which held on 31 August - 1 October 2006. Applying Data Mining Techniques Using SAS Enterprise Miner (ADMT5), 29-30 May 2006. Predictive Modeling Using Enterprise Miner Software (PMEM5), 19-21 June 2006. Advanced Predictive Modeling Using SAS Enterprise Miner (PMADV), 22-23 June 2006. The co-advisor of Sirinuch Wongrungarunlet (Master student) defense for "Customer Classification Analysis of Bill for Collection Through Advising Bank Using Decision Tree", Rangsit University on 14 May 2006 from 9:00 - 12:00 pm. The recruiting committee for the new faculty for Kamron Mekchai from 9 March 2006 - 12 April 2006. The defense committee of Budsayarat Tansuthiwet (Master student) for "The Customer behavioral models for marketing using the Data mining concentrated on the resale industry", College of Innovative Eduction, Thammasart University on 10 March 2006 from 18:00 - 19:00 pm. Three exhibitions for Chulawichakarn (CU Academy Exhibitions), 23-27 November 2005. Tutorial for "OpenOffice 2.0" for the computational student workshop on 19 May 2006. Tutorial for "Open Source Office: GNU Octave" for the computational student workshop on 18 May 2006. An organized committee of the "ICMAA2006: International Conference on Mathematical Analysis and Applications" which held on 24-26 May 2006. Special lecturer for the Mahidol Witthayanusorn School, 364 Moo 5, Salaya Sub-district Buddhamondhon District, Nakorn Pathom 73170, from 7-11 March 2006. The invited speaker for the topic "Data Mining Effectiveness: from Data to Knowledge", organized by SAS on 16 November 2005 at the Arnoma Hotel, 99 Rajdamri Road, Pathumwan, bangkok 10330, Thailand. The invited speaker for the topic "Data Mining for Traffic Accident and Safety", organized by Department of Highways, Ministry of transport on 14 November 2005 at the Department of Highways, Ministry of transport, Ratchathewi, Bangkok 10400, Thailand. The invited speaker for the topic "Data Mining Technique" in the workshop for Database and Direct Marketing conference, organized by Asia Business Forum (Thailand) on 7 October 2005 at Royal Orchid Sheraton Hotel and Towers, Siphya Road, 2 Captain Bush Lane, Bangkok 10500, Thailand. Chair session in the Mathematical programming session, "OR-CRN conference" on 1 - 2 September 2005, National Institute of Development Administration (NIDA), 118 Mu 3, Serithai Road, Klong Chan, Bangkapi, Bangkok 10240, Thailand. Faculty of Science, Chulalongkorn University, P-24 in the Abstracts of the Science annual meeting 2006, p. 67. Company advisor for "ICT MARKET OUTLOOK 2005", conducted by National Electronics and Computer Technology Center (NECTEC) in collaboration with Software Industry Promotion Agency (SIPA), Thailand 2005. Organized a short talk on "Data warehouse and OLAP concept" for Krisdamahanakorn public company, 97/4 Sukhothai Rd., Dusit, Dusit, Bangkok 10300, Thailand, on 8 August 2005 from 10:00 - 12:00 pm. Organized a special talk on "Optimization modeling and tools", at Sathorn Thani Center, 7-8 floor on Sathorn Thani 1, 90/1017 North Sathorn Rd., Silom, Bangrak, Bangkok 10500, Thailand on 2 April 2005 from 16:00 - 17:00 pm., Sathorn Thani Center, Rangsit University. Organized a special talk on "PMML (Predictive Model Markup Language)", at Sathorn Thani Center, 7-8 floor on Sathorn Thani 1, 90/1017 North Sathorn Rd., Silom, Bangrak, Bangkok 10500, Thailand, on 12 March 2005 from 16:00 - 17:00 pm., Sathorn Thani Center, Rangsit University. The invited speaker of the OR-CRN conference (Tutorial session) on "Open source optimization software", 2 - 3 September 2004, KU Home building, 50 Phahonyothin Road, Lat Yao Subdistrict, Jatujak District, Bangkok 10900, Thailand. Faculty of Science, Chulalongkorn University, M-1 in the Abstracts of the Science annual meeting 2005, p. 71. Faculty of Science, Chulalongkorn University, M-31 in the Abstracts of the Science annual meeting 2005, p. 101. Faculty of Science, Chulalongkorn University, M-29 in the Abstracts of the Science annual meeting 2005, p. 99. Faculty of Science, Chulalongkorn University, M-2 in the Abstracts of the Science annual meeting 2005, p. 72. The invited speaker for the topic "Understanding Data Warehouse and its architecture for the IT staff", organized by the National Statistical Office, Lanluang Rd., Pomprapsatruphai, Bangkok 10100, Thailand, on 10 August 2004. Seminar talk on "Background statistics for young researchers" for Pharmaceutical graduate students on 23 and 30 June 2004. Consulted the "BKK Sales Distribution Network Restructuring", organized by Green Spot (Thailand) Ltd. at Huamark office, 244 Srinagarindra Rd., Hua Mak, Bang Kapi, Bangkok 10240, Thailand. The projected is completed on June 2004 (3 months). Organized the teaching assistant training for Bachelor of Science Program in Software Development on 22 - 27 May 2004. Visiting the "Sathaban technology rajchamongkon", Nan province on 12 May 2004. Video tape the topic "Mathematical optimization", organized by the "Anandhamahidol" foundation. The VDO is televised on 14 January 2004 (the first time), Channel 9. Department undergraduate recruiter, go to the Mahidol Witthayanusorn School, 364 Moo 5, Salaya Sub-district Buddhamondhon District, Nakorn Pathom 73170, on 27 November 2003. Video tape the topic "Understanding the Computer Science: The different between Computer Engineering, Computer Science and Computer", organized by the "Anandhamahidol" foundation. The VDO is televised on 18 October 2003 (the first time), Channel 9. Visiting the NUS (National University of Singapore) in the school of computing on 25 - 30 September 2003. The department annual seminar (Mathematics and Computer Science) on 18 September 2003. Speaker of the "Innovation product design strategy for Thai industrial from the academic, industrial and vacational" on 18 July 2003. The basic statistics for Pharmaceutical graduate students in 3301673 Seminar on 18 and 25 June 2003. A department training for the student administrators on 12-16 May 2003. Committee of the Science annual meeting which held on 18-19 March 2003. Short tutorial in Statistics for Pharmaceutical Care students. Faculty of Science, Chulalongkorn University, M-1 in the Abstracts of the Science annual meeting 2003, p. 61. Faculty of Science, Chulalongkorn University, M-2 in the Abstracts of the Science annual meeting 2003, p. 62. Faculty of Science, Chulalongkorn University, M-5 in the Abstracts of the Science annual meeting 2003, p. 65. Two exhibitions on the Chulawichakarn (CU Academy Exhibitions) from 6 - 9 December 2002. The searching-path program for the optimal time on various periods (senior project of Warintira Taechaplut and Parichard Tessalee 2001). Speaker of THAIMETALEX in "Meeting the Global Manufacturing Challenge" Conference on 23 November 2002 at BITEC, Thailand. The topic T-032 is "The New Way for Electrical and Electronics Industry: Computerized Maintenance" organzied by the Electrical and Electronics Institute. Committee of the Science annual meeting which held on 20-21 March 2002. Invited Speaker of the NCSEC2002 Tutorial session VI "GNU Octave (MATLAB equivalence)" on 29 October 2002, Jomtien Palm Beach, 408 Mu 12, Jomtien Beach Rd., Pattaya City, Chonburi 20260, Thailand. The Chair session in the NCSEC2002 conference which held on 29-31 October 2002. Invited lecturer on the basic statistics for pharmaceutical graduate students (26 June 2002). Organized the workshop on GNU Octave (10 and 17 June 2002). An organized committee of the "ICAA2002: International Conference on Algebra and Its Application", which held on 18-20 March 2002. Faculty of Science, Chulalongkorn University, M-4 in the Abstracts of the Science annual meeting 2002, p. 123. Faculty of Science, Chulalongkorn University, M-9 in the Abstracts of the Science annual meeting 2002, p. 128. Faculty of Science, Chulalongkorn University, M-3 in the Abstracts of the Science annual meeting 2002, p. 122. Faculty of Science, Chulalongkorn University, M-5 in the Abstracts of the Science annual meeting 2002, p. 124. Broadcast radio at 92 Sonthana for the topic "Optimization based on Mathematical programming model" on 92 MHz FM on 4 October 2001, 9:45 - 11:00 am., Centre for Educational Technology (CET), Sri Ayuthaya Rd., Ratchathewi, Bangkok 10400, Thailand. The chair session in "Science Annual meeting from Chulalongkorn University" which held on 20-21 March 2001. Lecturer for the short course of "The New undergraduate students from the suburban and Chulalongkorn University" on 16-19 March 2001. Organized the Workshop for the Mathematics students in "Optimization tools" on 12-13 March 2001. A Ph. D. curricular committee of the Computer Sciences from 22 January 2001. A Master degree curricular committee of the Computational Sciences from 22 January 2001. A departmental committee at the department of Mathematics from 22 January 2001. Assistant Professor in Computer Sciences, Faculty of Science, Chulalongkorn University, October 2002. Ph.D. in Computer Sciences, University of Wisconsin-Madison, December 2000. M.S. in Computer Sciences, University of Wisconsin-Madison, May 1993. B.S. in Mathematics, Chulalongkorn University, June 1989. I currently conduct researches in optimization, machine learning, applied time series, data science which includes linear programming, clustering models, classification models, anomaly detection (single outlier or outlier assemblage). I apply knowledge from the fields of mathematical programming, knowledge discovery, statistics on various problems related to data science. The on going researches are anomaly detection, the linear and nonlinear programming (improved the current methodologies and algorithms), the class imbalance problem (Safe-level SMOTE, DBSMOTE), datamining techniques and algorithms (via recursive partitioning concept) and distributed algorithms via MapReduce. I incorporate Mathematics, Mathematical programming, Statistic concept such as linear programming, network programming, nonlinear programming, mathematical logic, and machine intelligent in order to solve problems in broad areas. OLA'2019 International Conference on Optimization and Learning, 29-31 January 2019, (Abstract) Page 16.
the International Conference on Circuits/Systems, Computers and Communications (ITC-CSCC 2018), July 4-7, 2018, Pages 341-345.
International Conference on Information Technology (ICIT 2017), December 27-29, 2017, Pages 341-345.
International Conference on Information Technology (ICIT 2017), December 27-29, 2017. Pages 66-70. The 21thInternational Computer Science and Engineering Conference 2017 (ICSEC 2017), November 15-18, 2017. The 9thInternational Conference on Knowledge and Smart Technology (KST 2017), February 1-4, 2017. Pages 83-88. The 20thInternational Computer Science and Engineering Conference (IEEE ICSEC 2016), December 14-17, 2016. Pages 1-6.
International Conference on Applied Statistics (ICAS) 2016, Phuket Bangkok, July 13-15, 2016. The 5thTKU-KMITL Joint International Symposium on Mathematics and Applied Mathematics (MAM2016), March 21-22, 2016. Proceedings in Adaptation, Learning and Optimization, on Intelligent and Evolutionary Systems Volume 5, 12 November 2015, pp 99-107. Proceedings in Adaptation, Learning and Optimization, on Intelligent and Evolutionary Systems Volume 5, 12 November 2015, pp 109-117.
International MultiConference of Engineers and Computer Scientists, Hong Kong, 12-14 March 2014, p. 1209-1213. 2nd International Conference on Mathematical Modeling in Physical Sciences 2013 (IC-MSQUARE 2013), 1-5 Sept. 2013, Prague, Czech Republic, On-line in Journal of Physics:Conference Series 490 (2014) 012193 pp 1-4. 2nd International Conference on Mathematical Modeling in Physical Sciences 2013 (IC-MSQUARE 2013), 1-5 Sept. 2013, Prague, Czech Republic, On-line in Journal of Physics:Conference Series 490 (2014) 012196 pp 1-4. 2013 International Computer Science and Engineering Conference (ICSEC 2013), 4-6 Sept. 2013, ISBN:978-1-4673-5322-9 pp 168-173. 2013 International Computer Science and Engineering Conference (ICSEC 2013), 4-6 Sept. 2013, ISBN:978-1-4673-5322-9 pp 157-162. The 18th Annual Meeting in Mathematics (2013), Krabi, Thailand, 14-16 March 2013, on page 72 (abstract). The 18th Annual Meeting in Mathematics (2013), Krabi, Thailand, 14-16 March 2013, on page 78 (abstract). The 18th Annual Meeting in Mathematics (2013), Krabi, Thailand, 14-16 March 2013, on page 73 (abstract). 10th International Conference on ICT and Knowledge Engineering 2012 (ICTKE 2012), Bangkok, 21-23 Nov. 2012, ISSN:2157-0981, pp 40-45. In Proceedings of the Second International Conference on Digital Information and Communication Technology and its Applications (DICTAP2012), Bangkok, May 16-18, 2012, ISBN:978-1-4673-0733-8, pp 203-207. In Proceedings of the 8th International Conference on Information, Communications, and Signal Processing (ICICS 2011), Singapore, 13-16 Dec. 2011, ISBN:978-1-4577-0029-3, pp 1-4. FSKD 2011 - 2011 Eighth International Conference on Fuzzy Systems and Knowledge Discovery (FSKD), Shanghai, China, 26-28 July 2011, published in Fuzzy Systems and Knowledge Discovery (FSKD), 2011 Eighth International Conference (Volume:3), ISBM 978-1-61284-180-9, pages 2060-2064. 2011 3rd International Conference on Computer Design and Application, Xi'an, Shaanxi, China, 27-29 May 2011, p. v5 46-49. The Seventh International Conference on Computing and Information Technology, Bangkok, Thailand, 11-12 May 2011, p. 74-79. ICMSBE 2011:International Conference on Management Science and e-Business Engineering, Jeju island, Korea, 1-3 May 2011, p. 739-743. The 16th Annual Meeting in Mathematics (AMM2011), Khon Kaen, Thailand, 10-11 March 2011.
the 8th OR-CRN conference, organized by Chulalongkorn University, Phryathai Road, Wangmai, Bangkok 10330, Thailand, 2-3 September 2010. ITC-CSCC 2010 - 25th International Technical Conference on Circuit/Systems, Computers and Communications ITC-CSCC 2010, Pattaya, Thailand, 4 July 2010. 2010 International Conference on Financial Theory and Engineering (ICFTE 2009), Dubai, UAE, 18-20 June 2010, ISBN:978-1-4244-7757-9, pp 91-94. 2010 International Conference on Intelligent Computational Technology and Automation, Changsha, Hunan, China, 11 May 2010.
International Conference on Computer Engineering and Technology (ICCET), 2010 2nd, Chengdu, China, 16-18 April 2010, page V7-526-V7-530. The 15th Annual Meeting in Mathematics (AMM2010), Bangkok 10800, Thailand, 11-12 March 2010. The 3rd International Conference on Knowledge Discovery and Data Mining (WKDD 2010), Phuket, Thailand, 9-10 January 2010, on pages 220-223. The 35th Congress on Science and Technology of Thailand (STT 35), Chonburi, Thailand, 15-17 October 2009.
the 7th OR-CRN conference, organized by Srinakharinwirot University, The Emerald hotel, 99/1 Ratchadapisek Road, Din Daeng, Bangkok 10400, Thailand, 3-4 September 2009. The 4th Conference on Science and Technology for Youth (2009), Bangkok, Thailand, 20-21 March 2009, on pages 74-86.
the 4th National Conference on Computing and Information Technology (NCCIT'08), organized by King Mongkut's University of Technology North Bangkok and Rajabhat Mahasarakham University, Mahasarakham 44000, Thailand, 23-24 May 2008.
the 5th OR-CRN conference, organized by Ramkhamhaeng University, Ramkhamhaeng Road, Hua-Mark, Bangkapi, Bangkok 10240, Thailand, 6-7 September 2007. The annual conference of Statistic and Applied Statistics 2007, Silpakorn University, Cha Am, Petchburi, Thailand, 24-25 May 2007, on pages 224-229. The 4th International Joint Conference on Computer Science and Software Engineering (JCSSE2007), Khon Kaen University, Khon Kaen, Thailand, 2-4 May 2007, on pages 321-326. The 11th Annual National Symposium on Computational Science and Engineering, Prince of Songkra University, Phuket, Thailand, 28-30 March 2007, on pages 245-246 (extended abstract). The 11th Annual National Symposium on Computational Science and Engineering, Prince of Songkra University, Phuket, Thailand, 28-30 March 2007, on pages 69-70 (extended abstract). The Second Graduate Congress of Mathematics and Physical Science, Singapore, 12-14 December 2006. The First Graduate Congress of Mathematics and Physical Science, Bangkok 10330, Thailand, 6-8 December 2005.
the 11th International Conference of Computer Aided Architectural Design Futures 2005 (CAADfutures 2005), Vienna, Austria, June 20-22, 2005. Published in "Computer Aided Architectural Design Futures 2005, publisher Springer Netherlands, ISBN 978-1-4020-3460-2, on pages 175-184.
the 2nd OR-CRN conference, organized by Kasetsart University, KU home building, 50 Phahonyothin Road, Lat Yao Subdistrict, Jatujak District, Bangkok 10900, Thailand, 2-3 September 2004, on pages 61-69.
the 12nd IE NETWORK CONFERENCE, Phisanulok, Thailand, 21-23 October 2003, on page 79 (Abstract only). NCSEC2002, Chonburi, Thailand, 29-31 October 2002, on pages 164-173.
the 11th IE-NETWORK 2002, Kanchanaburi, Thailand, 24-25 October 2002, on pages 814-821. NCSEC2001, Chiangmai, Thailand, 7-9 November 2001, on pages 23-29. IConIT'2001, Bangkok, Thailand, 28-30 May 2001, on pages 238-248. WSC00 2000 Winter simulation conference proceedings, v. 1, p. 795-804. "Advanced in Knowledge Discovery and Data Mining", Lecture Notes in Computer Science, Springer Berlin Heidelberg, ISSN:0302-9743, V. 5476, 2009, ISBN:978-3-642-01306-5, pp 475-482. Songklanakarin Journal of Sciene and Technology, ISSN 0125-3395, Vol. 30 No. 5, pages 673-686, Sept. - Oct. 2008. The Journal of Scientific Research (Section T), ISSN 1685-2923, Vol. 6 No. 1, pages 109-121, Jan. - Apr. 2007. The Journal Scientific Research Chulalongkorn University, ISSN 0125-6335, Vol. 32 No. 1, pages 1-5, 2007. "Computer Aided Architectural Design Futures 2005, Springer Netherlands, ISBN 978-1-4020-3460-2, on pages 175-184. Engineering journal Kasetsart, ISSN 0857-4154, Vol. 18:54-55, pages 107-115, Dec. 2004 - July 2005. The Journal Scientific Research Chulalongkorn University (Section T), ISSN 1685-2923, 2(2):231-240, May.-Aug. 2003. The Journal Scientific Research Chulalongkorn University (Section T), ISSN 1685-2923, 2(1):135-150, Jan.-Apr. 2003. Electrical and electronics focus, ISSN 1515-6191, 3(6):45-51, December 2002. The Journal Scientific Research Chulalongkorn University (Section T), ISSN 1685-2923, 1(3):409-419, Sept.-Dec. 2002. The Journal Scientific Research Chulalongkorn University (Section T), ISSN 1685-2923, 1(3):461-467, Sept.-Dec. 2002. Mathematical Programming Technical Report 98-21, December 1998. Available at ftp://ftp.cs.wisc.edu/math-prog/tech-reports/98-21.ps In V.~H. Nguyen, J.~J. Strodiot, and P.~Tossings, editors, Optimization, volume 481 of Lecture Notes in Economics and Mathematical Systems. Springer Berlin Heidelberg, 2000, ISBN:978-3-540-66905-0, ISSN:0075-8442, pp 132-148. Minimal slope algorithm along objective direction for 2D linear programming problem with redundant constraints. Ph. D. thesis, Faculty of Science, University of Wisconsin-Madison, 2000.